© 2016 oriana. All rights reserved. 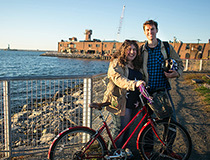 16 Apr Filed under art studios, gowanus, historic, makers, museum, park slope, performance, recreation, red hook, underground. Tagged bikes, gowanus, gowanus ballroom, morbid anatomy, park slope, pioneer works, red hook, robotic church, royal palms shuffleboard club, ugly duckling presse, waterfront museum. Bookmark the permalink. My dears! I know you haven’t heard from me in awhile, so hello again. 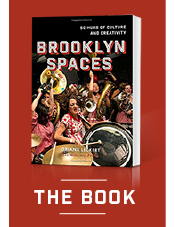 I hope you’re still interested in the inner-workings and underbelly of Brooklyn art and culture. In fact, I hope you’re so interested that you want to step away from your computer and get out into the world and experience more of it! 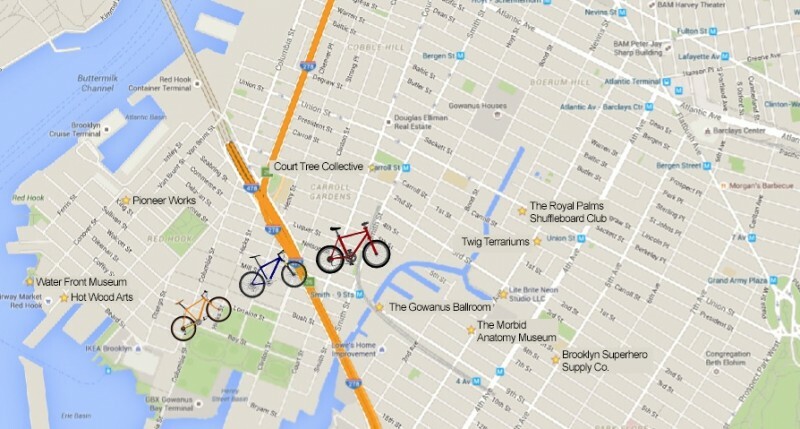 Because I’m very excited to introduce the first season of Brooklyn Spaces Bike Tours. The tours do the same thing this site has always tried to: show off some of the borough’s most fascinating places, in the words of the folks who conceived and run them. Each four-hour tour will visit unusual museums, experimental spaces, and quirky shops, and will include private talks, demos, and discounts at each. Along the way, everyone will gain a deeper understanding of the history of these buildings and the realities of the people who keep them alive. I’m doing this in partnership with my pal Jonah Levy, tour-guide progeny and native New Yorker. We currently have tours scheduled most Saturdays & Sundays from mid-April to mid-May. Come join us! 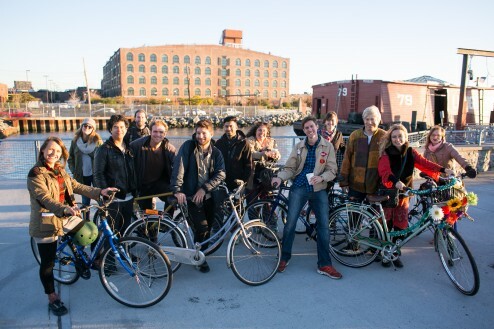 Lastly: to hear about future tours, check this page, where you can also sign up for the bike tours newsletter. I can’t wait to take a ride with you!